LA is crawling with coffee shops and cafes: Eightfold, Dinosaur, Dayglow, Honey Hi, Winsome – and those are all on just one street. That's not to mention the bigs, like Blue Bottle and La Colombe's west coast hub in Silver Lake. 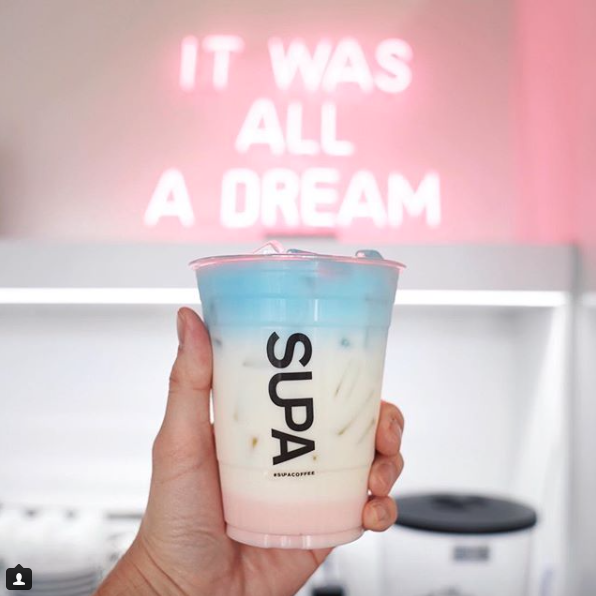 If you're planning a trip to LA, carve out some time to visit these five Los Angeles coffee shops that are currently on our radar. I'm a sucker for clean design, and Maru has that on point. The new downtown location opened recently, showing off some airy and hip vibes in a warehouse space. You may even catch co-founder Jacob Park behind the bar – a certified Q Grader himself. The shop plans to feature three roasters at a time, so swing by and give it a try. Formerly Neon Coffee, this new spot in Silver Lake makes me want to pack my bags and take a spin to the old hood, just for good measure. They're constantly switching up their featured roaster, so you'll never get bored with their on-point offerings. Part coffee shop, part garden, this place is a little gem in a busy city. Serving LA's Chromatic Coffee, you can get lost in the gorgeous space – and in good coffee. Ok, I am super excited about this one: the clean design, Ritual Coffee on bar, a giant Sasquatch wall made of plants. I mean, does it get any better? Check it out and let me know what you think. Ok, fine. I could be biased because of the vibrant colors and scroll-stopping Instagram feed, but this place looks Supa-awesome. It's definitely not your basic coffee shop, but it is something to see. Oh, and don't forget to try the mini doughnuts.